SPECIAL $199 use code "SAVE76" at checkout and SAVE $76 per person. 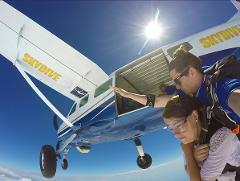 We offer the best service, value and fun skydive if you are looking to do a skydive in the scenic Hunter Valley. Up to 14,000ft no more to pay.